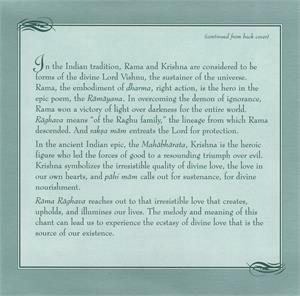 The words of this namasankirtana form a heartfelt prayer to the Supreme Being as Lord Rama and Lord Krishna, and have been widely chanted across India by many generations of devotees. 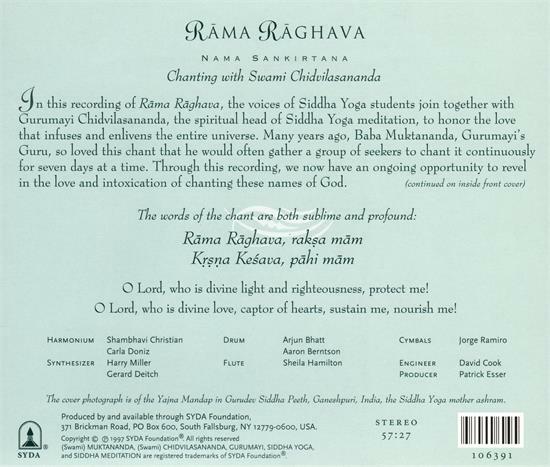 On the Siddha Yoga path, we chant Rāma Rāghava to a traditional melody in the bihāg raga. 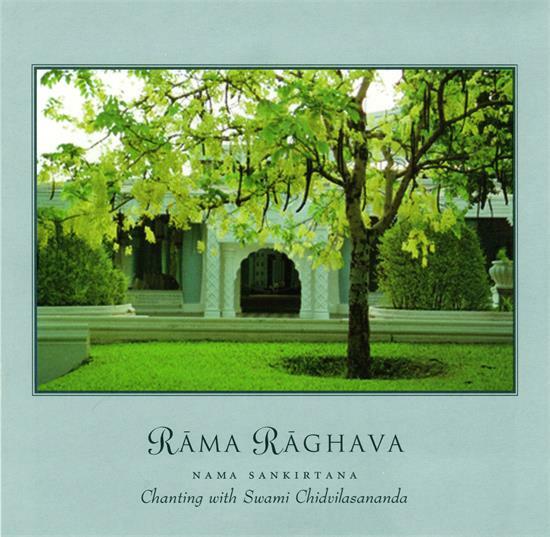 This raga evokes love, thoughtfulness, and gentle longing. 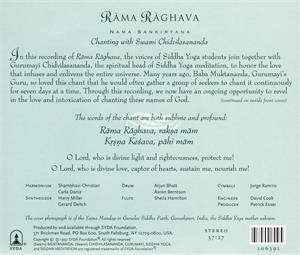 Many Siddha Yogis love this namasankirtana's tender tune and lilting, dance-like rhythm. 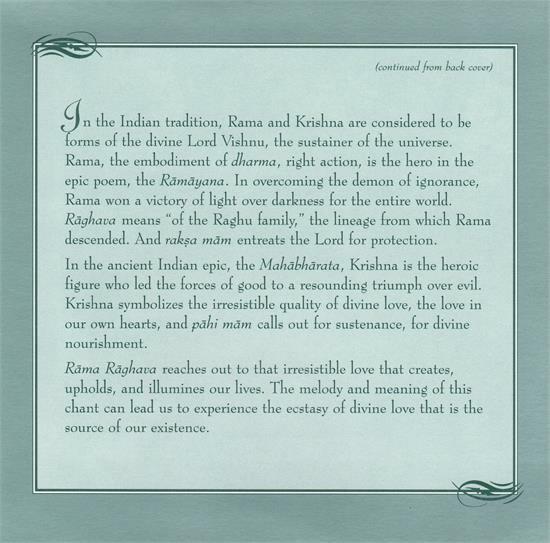 Recorded on July 14, 1996.